If you're interested in a power meter for residential or light commercial applications, then typically a single or split-phase meter would be the best choice. These applications use around 120 to 240 VAC, and draw less current than three-phase applications. 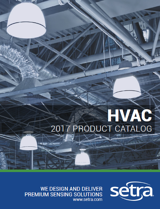 Three-phase meter applications include chillers, air-handling units (AHU) and process equipment. Three-phase power provides 1.7 times more power than single-phase power at the same current. Three-phase motors can range up to 480 BAC and can handle current ranges of up to 5,000 Amps. Advanced meters will allow you to configure the voltage in the field using a broadband power supply. 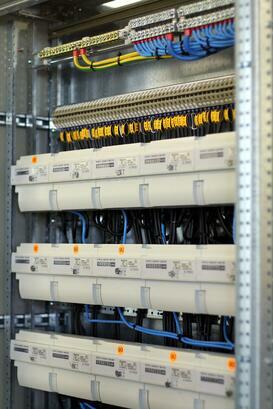 Space can become an issue within electrical rooms when trying to accommodate a NEMA4 enclosure for a meter. Installation costs can be avoided through selecting the proper meter, however mounting must fall in adherence with National Electrical Code (NEC). When connecting to an electrical source, it is recommended that the voltage leads are connected through an electrical breaker with properly sized wiring. If a wire is damaged, the breaker is the protection for any shift that might happen just as it is for any other device connected through a breaker. A meter with the proper form factor and safety ratings can be mounted directly inside of an electrical panel, without the need for fused leads; these meters provide significant material, labor and time savings. Not all meters are capable of this installation flexibility, so speak to the manufacturer before purchasing the meter. This will ensure that mounting the specific meter inside of an electrical enclosure without fused leads is in adherence with NEC feeder tap codes. The two most common types of current transformers used with power meters are split/solid-core CT's and Rogowski coils. Over the last decade, technology has made Rogowski coils the preferred CT's for contractors due to easier installation and shorter install time. Busbars and irregular shaped cable bundles are common in applications with high power requirements. Rogowski coil flexibility allows for the installer to save labor time and physical exertion. As a direct result of this advantage, these coils can be installed in any application. Power meters can communicate through various methods including pulse, BACnet and Modbus as well as a variety of wireless options. Pulsed output is very common in single-phase applications, where less information is required by the end user. Meters using advanced protocols such as BACnet and Modbus have the ability to communicate all parameters through a building automation system, providing the end user with a more complete picture to understand the consumption data. Wireless submeters are becoming more prevalent because of the cost savings associated with installation. When installing a pre-configured meter, if the wrong part number is ordered it can not be installed. Perfect information isn't always available to the contractor when ordering, so a meter with field configurability is extremely beneficial. These meters reduce the risk of ordering the wrong CT type, communication protocol or even the monitored current range. All the previous considerations contribute to the total installed cost. The total installed cost takes purchase price, labor costs, project compatibility and effectiveness into account. This cost can help the contractor better understand all potential costs that could be incurred during a job. Before selecting a power meter make sure all application requirements are clear to the installer. CLICK HERE to learn more about Setra's line of power monitoring products.